Austin brings in a lot of new talent each year, with new, emerging musicians ensuring that the music scene is fresh and diverse. The future looks bright for this Texan town, with the following performers on track to carve an interesting career in the years to come. Named 2015 Austin Musician of the Year, Gina Chavez is captivating audiences not just in Austin but all over the world. Her unique brand of music is bilingual Latin-folk with an almost tribal sound to certain songs. Her album Up.Rooted features a diverse repertoire of songs in both Spanish and English. Chavez and her skilled band have performed the album’s songs for NPR’s All Things Considered, gaining praise and admiration around the industry. Up.Rooted is now available on iTunes, Spotify, Amazon, and at Waterloo Records in Austin. Sweet Spirit’s music is best described as garage-rock, a type music that takes you back in time – to the 90s. They always speak their mind and their single Baby Doll is attracting a lot of attention with its catchy tone and witty lyrics. This band is taking audiences by surprise in a cool way. 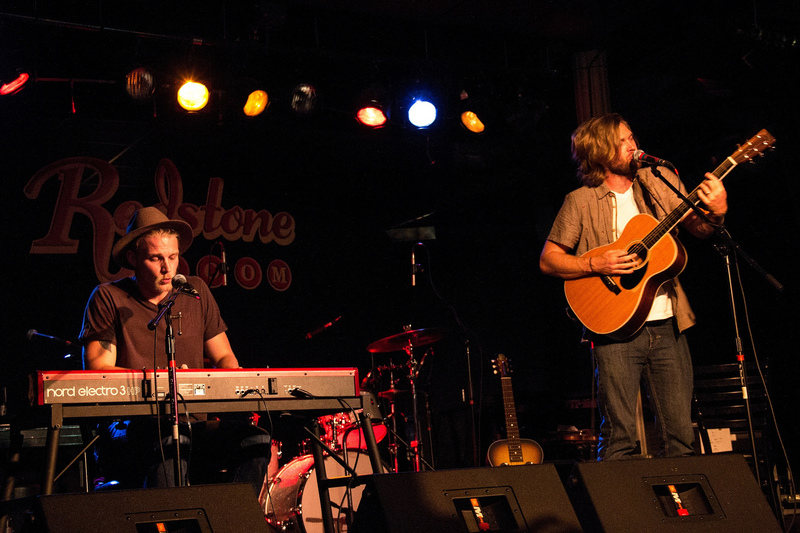 With a mixture of Western indie rock and southern country, Jamestown Revival is not to be overlooked. In 2014, iTunes named their album Utah as the Best of 2014: Singer-Songwriter Album of the Year. In the past they’ve performed at both South by Southwest and Austin City Limits Music Festival, and got their big break with an appearance on the popular show Hart of Dixie performing their song California (Cast Iron Soul) – the music video for which now has over 300,000 views on Youtube and is receiving a lot of attention from critics and fans alike. @hardlystrictlybluegrass you've got a good thing going on. Thanks for letting us be a part of it. The sound of Magna Carda is American rap and hip hop with engaging instrumental interludes, a rare combination that makes for some compelling tunes. They’ve performed all over Austin gaining acclaim during the city’s inaugural X Games. Featured in a BuzzFeed article listing ’40 Songs Proving That Austin, Texas is the Capital of Dope Jams…,’ one of their well-liked songs is called Angela Bassett, a great example of hip hop complimented by strong instrumentation. At only 16 and 18 years old, the sister-brother pop group Charlie Belle is taking Austin by storm. There’s absolutely nothing adolescent about their sound, however. Jendayi Bonds, lead singer and guitarist, is also the band’s songwriter. They’ve received wide acclaim for their song Get to Know, and as soon as their instruments start and the vocals begin you forget their age and just enjoy the infectious music. Thank you @wwbranch for takin pics of our Stubbs show on Friday. Also great thanks to @nicarmstrongmusic for playing with us, @stubbsaustin for having us, and everyone who came out. What a night!! Roxy Roca is the kind of soul music that leaves you no choice but to get up and dance. The sound is southern soul and pays tribute to funk legends like James Brown and Al Green. They released their album Ain’t Nothin’ Fancy in 2015 and it has since gained in popularity. Mickey Guyton could be the next big country star. Her song Better Than You Left Me is breaking records and gaining a lot of attention from media sources like Huffington Post, Wall Street Journal, and USA Today. The Venmo music video alone has over 3.8 million views on Youtube, and her future looks certainly bright both in the country world of Nashville and worldwide. Brothers Alex and Glenn Petters, only 17 and 20, bring quality soul funk to the Austin music scene with their Peterson Brothers Band. Awarded the Living Blues Critics Award for Best Debut Blues Album of 2015, they also hold a performance spot at Austin’s renowned Continental Club. The brothers tend to play off each other and never stick to the same musical structure. Their main goal is to get the audience pumped, something they easily accomplish during live shows.